Acme Thunderer (Referee's) Whistle (58.5) large This whistle is a large sized whistle with a low pitch. Overall length approx. 2 & 1/2" x drum width 1" x tapered mouth 1/2"
By the J. Hudson Factory. 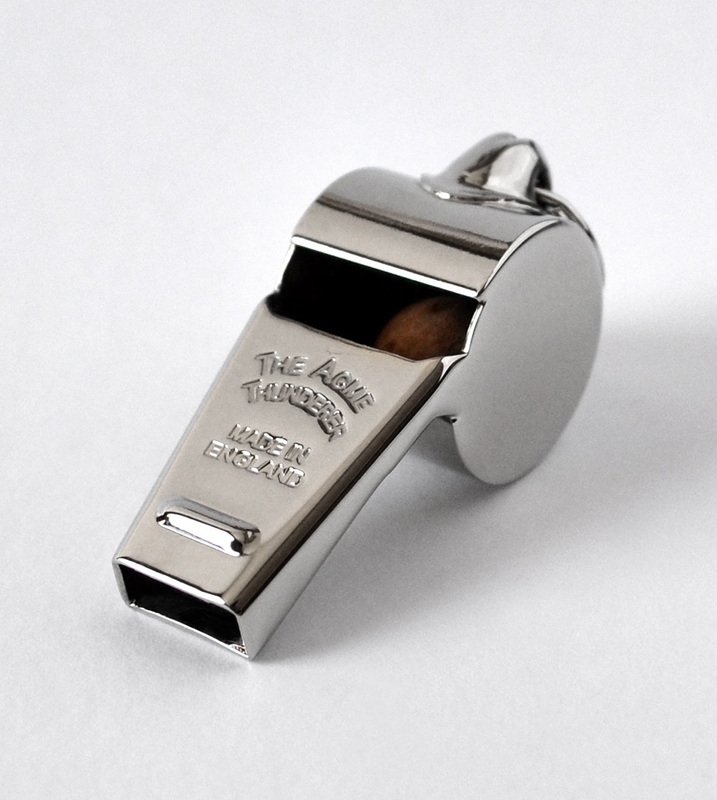 There isn't a sports referee that walks out on the field without an Acme Thunderer. Hang on your key-chain or neck for security.